Jeff started his legal practice in Chicago, Illinois with Chapman & Cutler working on tax-exempt municipal financings across the country before returning to his hometown of Louisville to practice with one of Kentucky’s largest law firms, Wyatt Tarrant & Combs. Prior to joining FMD, Jeff was a partner at Reed Weitkamp Schell & Vice PLLC for 20 years where his practice was concentrated in the areas of commercial real estate and finance. Jeff has extensive experience in hotel loan financings, commercial leasing, and real estate purchase transactions. He has been bank counsel in numerous construction real estate financings, including residential condominium, commercial, and mixed-use properties and developments in Kentucky, Indiana, and throughout the United States. 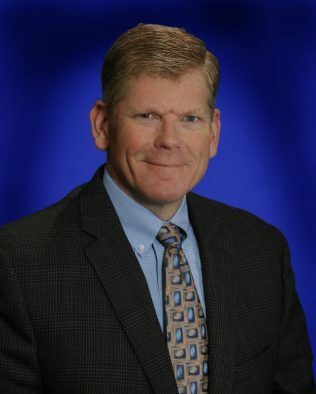 Jeff is a nationally renown expert in the area of mortgage warehouse lending where he has closed over a hundred mortgage warehouse lines of credit and mortgage repurchase facilities totaling billions of dollars, including numerous credit facilities in which he has served as legal counsel to the agent bank in syndicated bank financings. Jeff enjoys staying active with various nonprofit groups. He is currently a Board Member for The Miracle League of Louisville. Prior to that, Jeff had been very actively involved with the National Multiple Sclerosis Society for 20 years including serving on the local Chapter Board of Trustees for 20 years, serving as Chapter Board Chair for 6 years and holding various other regional and national positions. His other civic involvement includes serving several years as board member of St. Matthew’s Little League and RESOLVE. Jeff recently retired from coaching his son Matthew in various youth sports and now enjoys watching him play baseball for St Xavier High School from the stands.